The adult human brain weighs 1.4 kilograms and contains approximately one hundred billion nerve cells or neurons. The abnormal excessive and synchronous discharge of a group of neurons is the basis for epilepsy. In this respect, epilepsy is very much like a thunderstorm inside the brain. The location of this disturbance, its duration and spread to neighbouring areas determine the clinical features of seizures. Approximately 1% of the population has a tendency for recurrent seizures, making epilepsy a common disorder. Anticonvulsant drugs suppress abnormal neuronal discharges and limit the spread of seizure activity in the brain. 60% of patients are well controlled with these medications. This leaves 40% of patients who are not adequately controlled for whom alternate strategies need to be considered. There is an increasing awareness of the benefits of surgery in the treatment of certain patients who continue to have seizures despite of the best treatment with anticonvulsants. The last decade has seen significant advances in the surgical treatment of epilepsy. This has come about with the development of better imaging techniques such as magnetic resonance imaging (MRI) and – better seizure localization with increasing sophistication of electroencephalographic (EEG) technology, single photon emission computed tomography (SPECT) and positron emission tomography (PET). How common is epilepsy surgery? There are currently approximately 500 operations done per year in North America for epilepsy. Investigators feel that 2,000 to 5,000 new patients might be suitable for operations each year. Patients considered for surgery must be well motivated to undergo the extensive series of tests required to localize the seizure focus and determine whether it can be safely surgically removed. A neurological history and physical examination is the first step in evaluating a patient with seizures. This gives important clues into the many causes of the seizures and can identify the part of the brain from which the seizures are likely to be originating. Next, imaging the brain is important to identify any abnormalities which may causing seizures. The findings of the imaging studies may show a lesion or may show a subtle abnormalities such as an area of the brain involved in the seizure which is slightly smaller than usual. What other tests are performed on the surgery patient? Perhaps the most important investigation in the evaluation of patients for surgical treatment of their epilepsy is the EEG. This test measures the electrical activity of the brain and can identify the location of the abnormally firing neurons. It is sometimes necessary to activate electrical activity at the seizure focus by withdrawing anticonvulsants, by depriving the patients of sleep or by administrating certain drugs to bring out seizure activity. When the standard EEGs do not give the location of the seizure focus, patients are often admitted to hospital for 24 hours round-the-clock EEG and video monitoring. In this way the clinical manifestations of the seizure as recorded by the video camera can be correlated with abnormalities in the EEG to identify the area of the brain responsible for the seizure. A minority of patients with particularly complicated seizures require more extensive investigations for added resolution and accuracy of seizure localization. These patients require electrodes implanted on the surface of the brain or directly within the brain tissue suspected of harbouring the seizure focus. What is the neuropsychological assessment for epilepsy surgery? As with any operation, there are risks to surgery for epilepsy. The risks depend on the area being operated and are those of producing a disturbance in motor strength, in sensation, in vision or speech. There have also been rare cases of surgical mortality. Fortunately, with continuing refinement in neurosurgery, the chances of long lasting complications are small at approximately 2%. In patients with an identified focal seizure focus, the success rate of surgery is up to 80%. 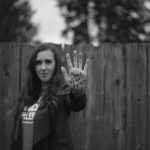 This is the number of patients that will be seizure free for 5 years after surgery with some patients experiencing occasional auras and some still taking anticonvulsant medication. For patients with generalized seizures without a focal onset the results are still not as good. These patients may nevertheless obtain a worthwhile improvement with an operation. What does the future hold for the surgical treatment of epilepsy? We have made important progress in the treatment of epilepsy with an increasing understanding of the disorder, the developments of new medications, improved diagnostic tests and the refinements in surgical procedures. There is still much work to be done. Further progress will depend on gaining a better understanding of the changes in the brain leading to seizures and on greater accessibility to specialized centres for epilepsy research and treatment. These are the challenges that lie ahead. As a non-profit, charitable organization, the Canadian Epilepsy Alliance relies on individuals like you to help us deliver our support and education programs. Purple Day is an international grassroots effort dedicated to increasing awareness about epilepsy worldwide. 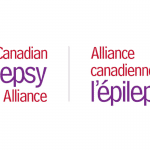 The Canadian Epilepsy Alliance (CEA) is a Canada-wide network of grassroots organizations dedicated to the promotion of independence and quality of life for people with epilepsy and their families, through support services, information, advocacy, and public awareness.